Avid golfers and fans alike will be pleased to know the Tucson Conquistadores Classic will return to the Omni Tucson National Resort March 13-19, 2017. Amateur golfers can once again register to play alongside professionals and are encouraged to register in the Jose Cuervo Pro-Am as an individual, team, or foursome. The 81-player field will accommodate champion golfers playing for the $1.7 million purse across three days of competition. All proceeds from the tournament will benefit youth athletic programs in Tucson. The official site of the week-long classic will be the Catalina Course of the Omni Tucson National Golf Resort. On Monday and Tuesday, players will participate in practice rounds with free admission for spectators. Pro-Am will take place Wednesday and Thursday with a no-cut 54-hole Stroke Play to follow Friday through Sunday. The final three days will be broadcasted on The Golf Channel for fans who prefer to watch the action at home. The total prize purse is set at $1.7 million with the first place winner taking home $255,000. Plan your week around the full schedule of events and note the tee times. Gates open at 7:30 am Monday and Tuesday and 8:00 am Wednesday through Sunday. The Tucson Conquistadores have been encouraging youth sports since the club’s inception in 1962. Its original founders saw the value in providing the community with extra-curricular sports and other events as a character-building activity. The Conquistadors led the Tucson Open golf tournament from 1966 to 2006 raising over $15 million for charity. 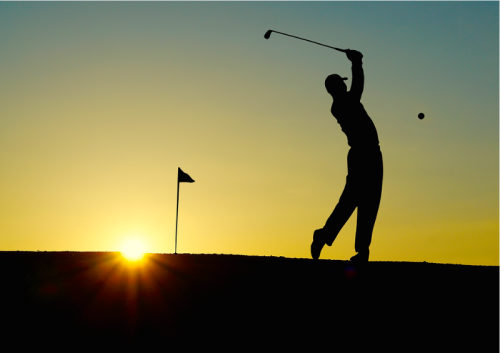 In the seven years to follow, they supported the World Golf Championships-Accenture Match Play Championship at Dove Mountain—solidifying their leadership initiatives within the golf community. To date, the organization has contributed $30 million to local programs with the same initial goal of enriching lives and forming a stronger Tucson community. This event will directly benefit youth charities such as The First Tee of Tucson, Southern Arizona Community Sports Center, Pima County Special Olympics, Boys and Girls Club, and the YMCA. Volunteer: Get involved in your local charities by choosing a volunteer committee and registering for a shift. Committees range from admissions, customer service, and transportation to the Pro-Am series and the driving range. Applications are currently being accepted via email, fax, or mail once the online form has been completed. Sponsor: Advertising packages range in price from $700-50,000 and provide an incredible marketing opportunity for individuals and businesses. Spectate: Tucson residents can attend the annual event by purchasing tickets online or by calling 800-882-7660. Single day tickets are available Wednesday through Sunday along with a weekly package option and Daily 100 Pack ideal for employers or sponsors. Parking is $5 per vehicle. Military members and their spouses are free with a photo ID. Play: Pro-Am participants will have the unique experience of playing and dining alongside a professional while enjoying VIP service that includes access to the Conquistador Club Hospitality tent, free meals and beverages, valet parking, an awards reception, and a meet-and-greet with autograph signings. Don’t miss this family friendly event in Tucson. If its reputation is any indication of what’s to come in 2017, the Tucson Conquistadores Classic will be a complete success—one that strengthens the community through its most popular sport and raises money for Southern Arizona’s children.